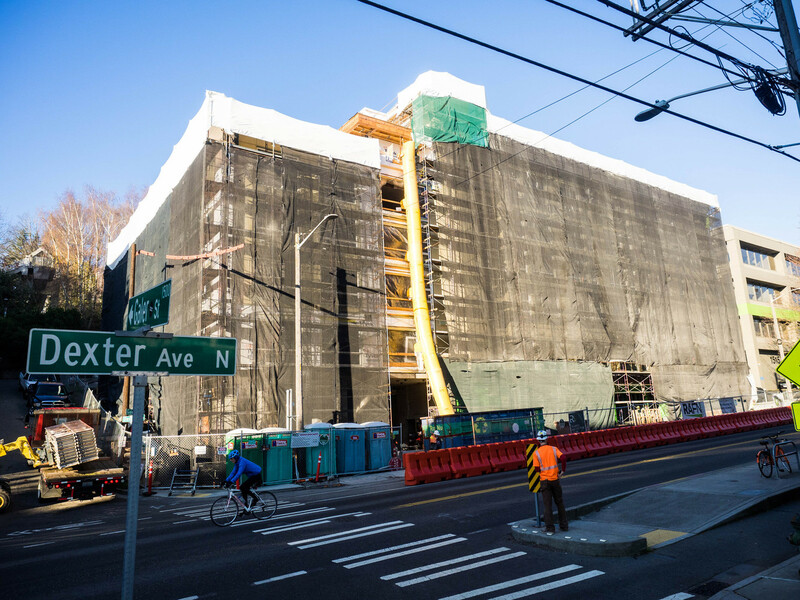 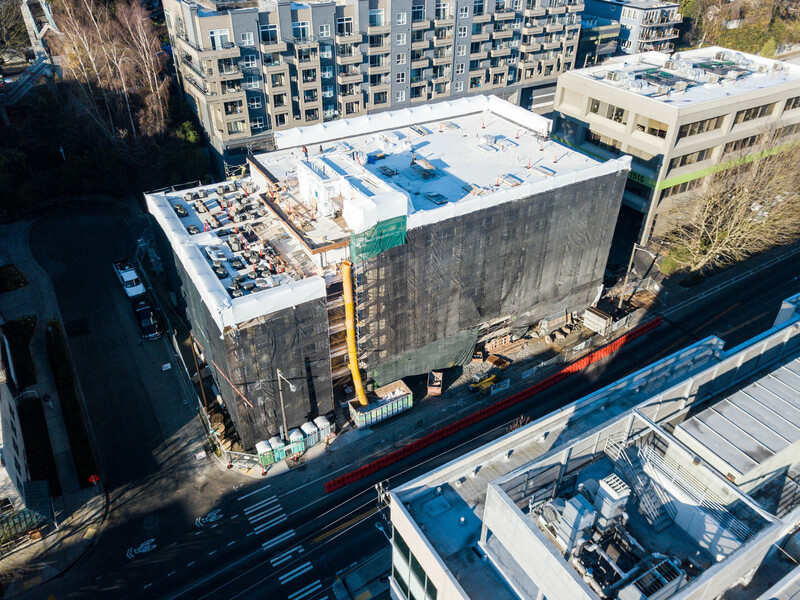 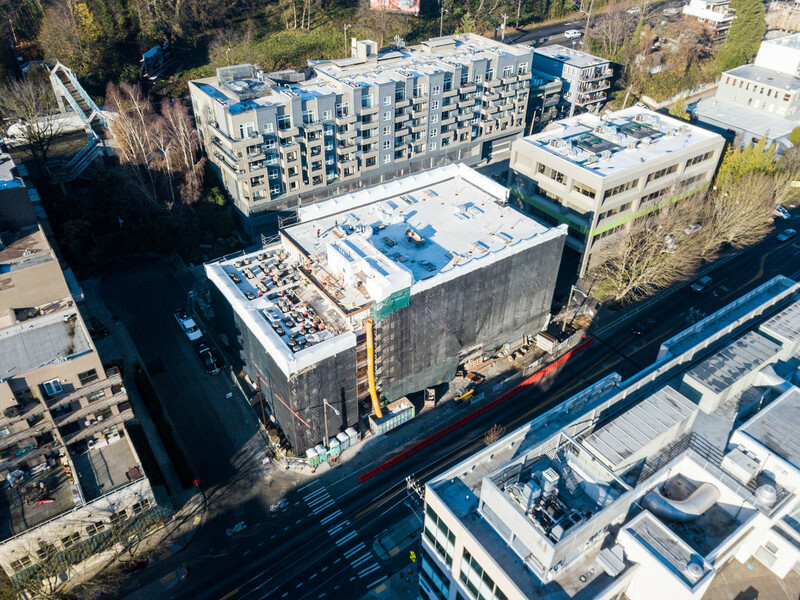 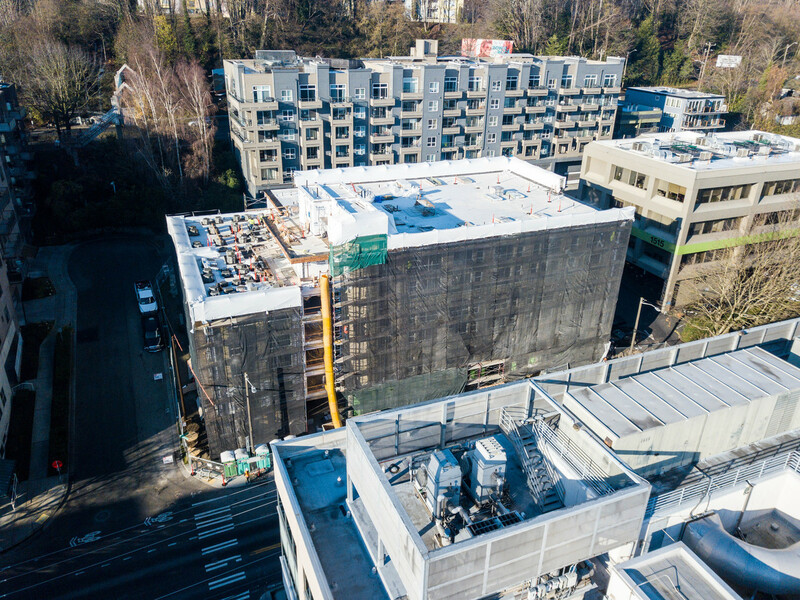 The Anchor Flats project is located close to downtown Seattle in the South Lake Union Neighborhood between Garfield Street and Galer Street with frontage along Dexter Avenue North and bordered by and alley at the rear (west) of the property. 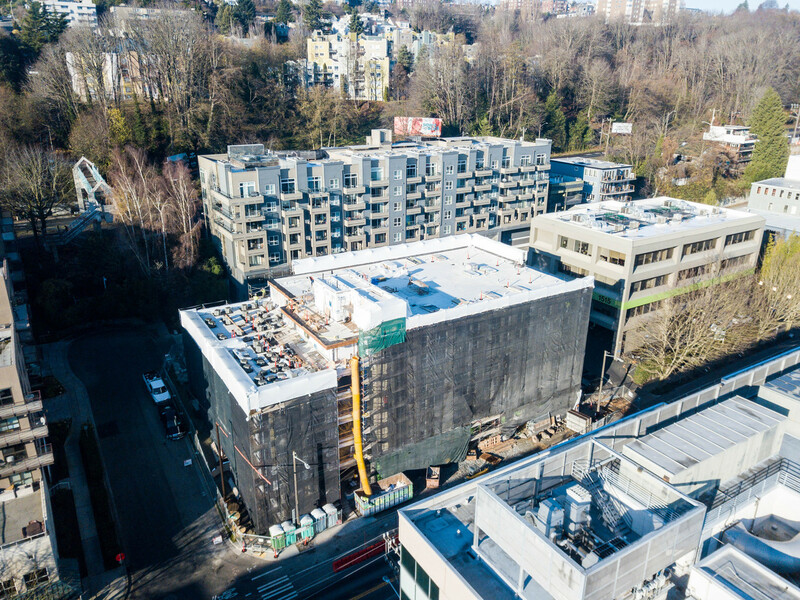 The rectangular site slopes steeply 30 feet from the northwest to southeast. 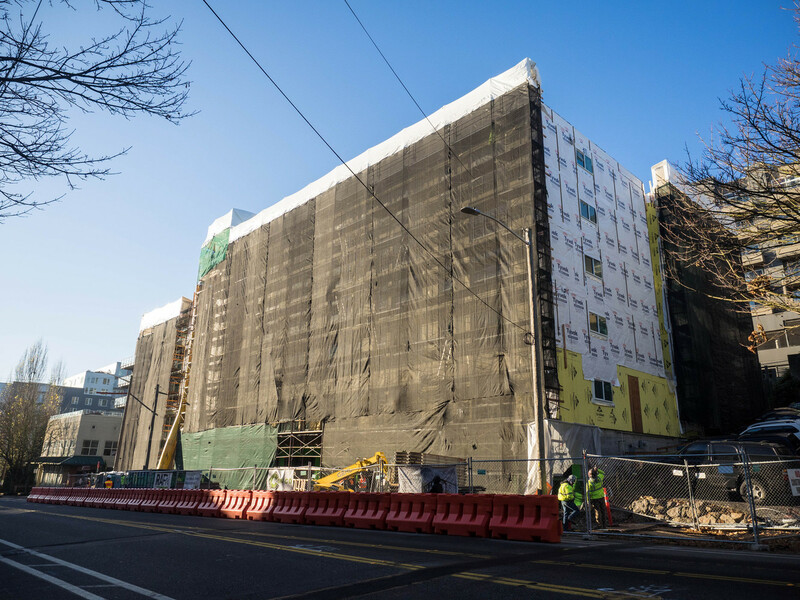 The proposed project is a new 6-story affordable housing project that will consist of three street level live-work units, a partial below grade parking garage accessed from Galer Street, and a residential lobby with five floors of 68 residential units above. 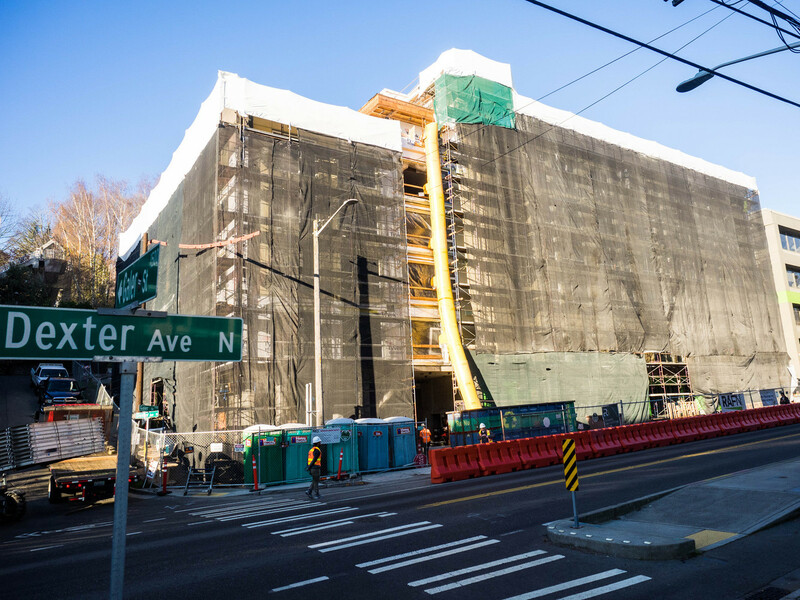 The building encloses a total of 62,257 square feet and an average unit size of 629 square feet.